Unforgettable Radio has today started broadcasting on DAB+ to the Portsmouth area. The service is a not for profit community station great easy listening and cool jazz from crooners and swingers. In addition, Portsmouth local event information and weather updates will feature. 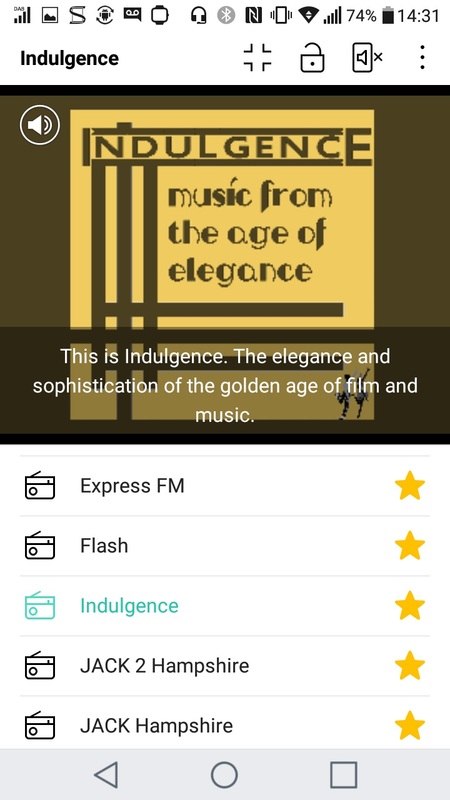 Indulgence has become the first DAB station in Portsmouth to broadcast DAB slideshow. DAB slideshow means that images can be broadcast alongside the audio and scrolling text of a DAB digital radio service. On some DAB car radios, the Revo PiXiS and LG Stylus 2 DAB+ mobile phone it is possible to receive these images in addition to scrolling text. We are now broadcasting DAB slideshow on Indulgence and hope to roll out to our other services in due course. Indulgence slideshow as seen on LG Stylus 2 DAB+ mobile phone.